A few weeks ago we told you how Mututho owed Larry Madowo a 60,000 salary debt since the time Larry worked for him a few years ago. 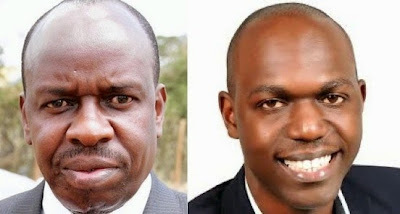 Last night, Larry Madowo revealed that his former employer and also NACADA Chairman John Mututho had settled the Sh60,000 debt he owed him. Before going to KTN and now NTV, Larry Madowo worked at Bahasha FM, a radio station that was owned by Mututho. At some point it stopped making any money and all employees, among them Larry, were sent home. The station owed Larry Sh60,000 back then. When Larry was interviewed on Jeff Koinange Live a few weeks ago, He revealed that small detail about his media journey, in the process shaming Mututho on National TV.